Ekskursas, a team of volunteers who are organising free of charge tours of Kaunas landmark architecture, is inviting to check out the interiors of private interiors from the years 1918–1940. There will be three tours of this kind; the second of them is taking place this Sunday and the third one will take place next weekend. Make sure to follow Ekskursus Facebook page and to register once the registration is open. 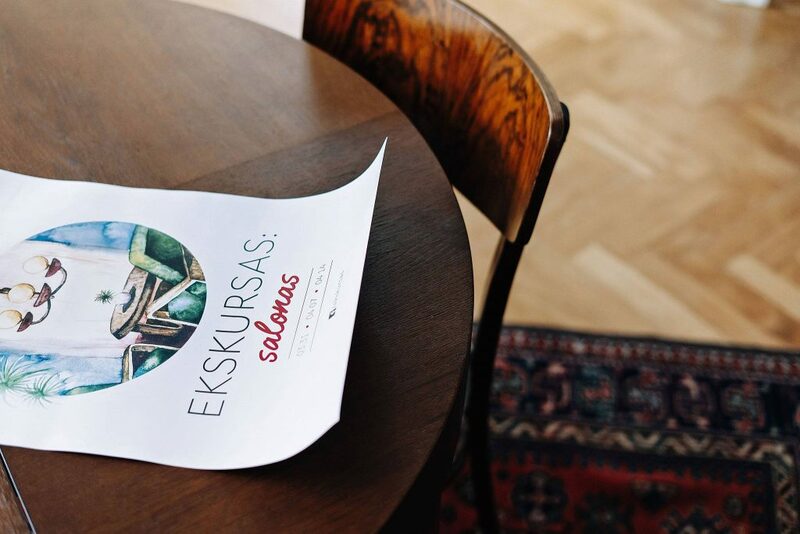 The title of this Ekskursas tour is Living Room, and it perfectly reflects the mood of interwar Kaunas – the salon culture, bohemian life and gatherings of intellectuals. Living Room 3: excellent newly renovated flat in one of the most luxurious apartments of that time. Living Room 4: tenement building on the hill – asymmetrical composition and the blending of folk and exotic elements. Living Room 5: Dual tenement building – decorative exterior and functional façade of the inner garden. Each of the tours last 30-40 minutes. The organisers are asking to choose only one of the Living Rooms. The chosen participants will be notified by email by Friday night. Don’t worry if you just came to Kaunas and are not fluent in Lithuanian – you can always invite your Lithuanian friends to come along or to ask for a translation from the team. As they say, a picture is worth a thousand words, and the visual and design language is universal. Just come along and enjoy the best of Kaunas.